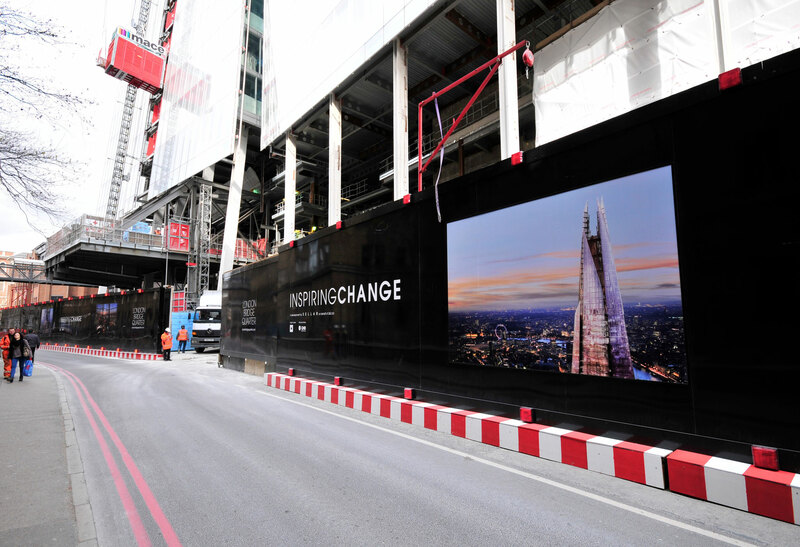 Working for strategic design agency Sectorlight, Octink were commissioned to deliver the hoarding decoration for The Shard at London Bridge Quarter. The delivery and installation required the utmost in logistical planning to achieve traffic management and safety compliance to both the roadside and public areas of this site. 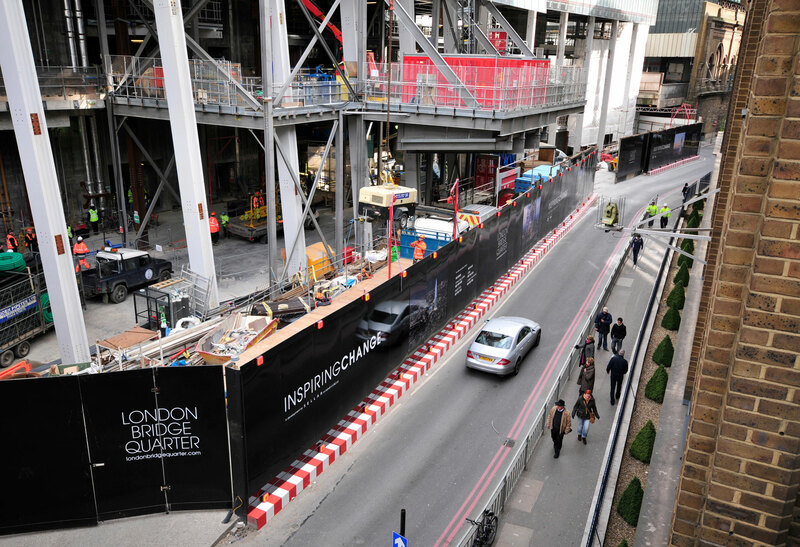 Working closely at all times with Mace, the principal contractor, the installation was achieved often working through the night and over weekends to avoid any unnecessary disruption to either the public or on-going site works. 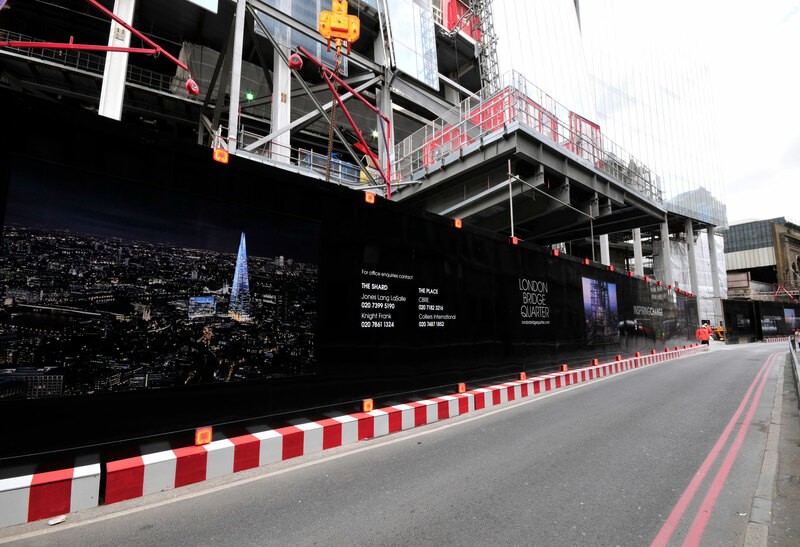 Site meetings and constant monitoring and supervision were essential to deliver this stunning 4m high hoarding to all areas around The Shard at London Bridge Quarter. 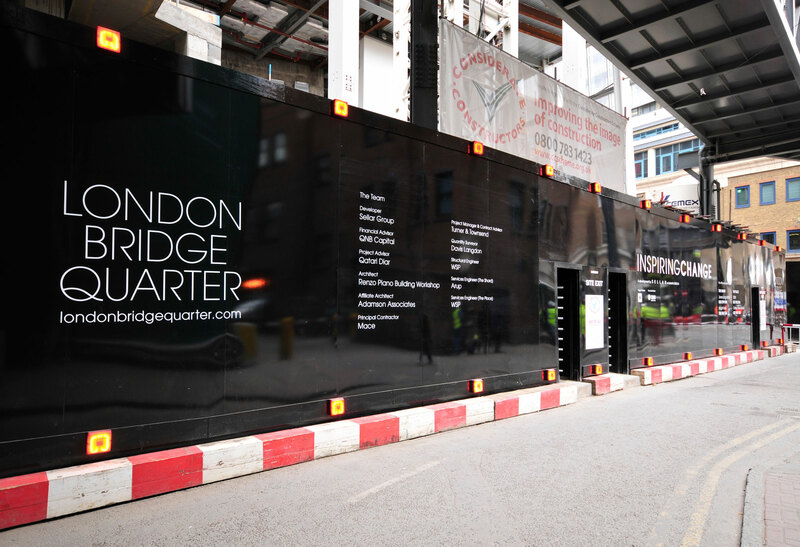 The graphic panels were 3mm ACM over laminated with the required vinyl graphics, and finished complete with a gloss anti-graffiti seal.